LARIA NW welcomed around 60 delegates to its event in Manchester, chaired by Linda Frost, to hear from a range of speakers. The event began with discussions in groups, covering data harmonisation, the Index of Multiple Deprivation and working with the voluntary sector. This session shared findings from a collaborative research project into the skills needs of the voluntary sector and social enterprise organisations (VCSE) in Greater Manchester. After some the background to VCSE skills and the methodology used, the speakers explored some of the quantitative and qualitative findings to highlight the need to focus attention not only on skills, but also on capabilities. Susanne Martikke is the research officer at the Greater Manchester Centre for Voluntary Organisation (GMCVO). She has managed and conducted a wide range of qualitative research projects on various aspects of the VCS and volunteering in Greater Manchester Susanne is also the co-founder and the coordinator for the Greater Manchester Third Sector Research Network, which brings together academics with a research interest in the voluntary sector and voluntary sector staff with a research remit for peer support and learning. Susanne is one of three associates of the UK Community Partner Network initiative, which aims to raise awareness of the mutual benefits of equal and fair partnerships between voluntary sector organisations, their communities and university researchers. She is currently working on her PhD as part of an ESRC-funded collaborative CASE Studentship between GMCVO and the Morgan Centre at the University of Manchester. Dr. Noemi Sinkovics is Lecturer in International Business and Management at Alliance Manchester Business School. She holds a PhD in International Business and has a track record of peer-reviewed publications in a number of internationally recognised journals such as International Business Review, International Marketing Review, Journal of Business Research, etc. Her research and teaching is focused on responsible business, social value creation, as well as theoretical and practical aspects of entrepreneurship (commercial, social, and international). The wealth of public sector open data – and open source products to analyse these – provide local authorities with a range of new and unique opportunities to better understand the local area, and improve people’s lives. 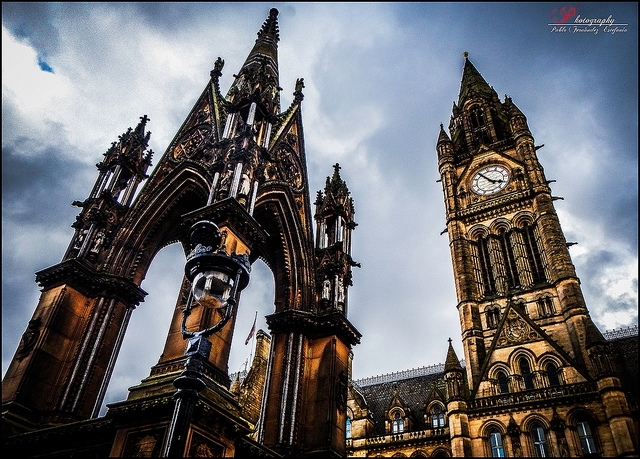 To this end, Greater Manchester sought to utilise open data to better understand our social and physical infrastructure, to better support pre-planning decisions. This session explored some of the wider opportunities available for local authorities from using open data, some of our learning along the way, and the creation of our open data infrastructure map – mappinggm.org.uk. Chris Pope has been a senior analyst for over 6 years at New Economy. He has worked in areas as wide as mental health support, skills and employment services, public service reform and planning and housing. For the past 8 months, Chris has project managed the Greater Manchester Open Data Infrastructure Map, working with colleagues in the LEP, AGMA and Salford City Council, who built the map. Diane talked about a collaborative project between QSR International and Cheshire East Council in which data from a public consultation project was analysed in NVivo against the more traditional analytic methods and approaches (Man ‘V’ Machine). The aim of the project is to demonstrate the potential time and cost savings the software could bring to teams in similar local authorities. Diane Armstrong is employed as a Business Development Manager at QSR International Ltd who are the developers of NVivo, an award winning qualitative research software. However, her background is in public sector, working for 23 years in NHS around the North West. In later years, Diane was employed as a Stakeholder Engagement Manager at Liverpool Primary Care Trust and was responsible for successfully project managing a number of large-scale public consultation projects resulting in the creation of 10 new neighbourhood health and wellbeing centres across the city and the development of the new Royal Liverpool and Alder Hey Hospitals. This session heard about the possible savings to Local Authorities through the use of PSMA data in support, not only of savings in Waste Management, but many other areas of the business, as shown on the OS Case Study finder. Clive Melleney is a GI Consultant with the Ordnance Survey. He supports over 100 PSMA customers within the North West and West Midlands Regions. He also works with energy and infrastructure companies across GB. Mark Mohun is a Business Analyst with Newcastle City Council. This session heard about the DemograFire project, which aims to produce a robust, geo-demographic profile of fire and rescue incident data to assist in the creation of social marketing campaigns. Philip Usher has worked in analytical roles within the emergency services for 12 years and he is currently Business Intelligence Manager at Cheshire Fire & Rescue Service. In 2015 Philip took on the role of lead for Social marketing and Analysis in the Chief Fire Officer’s Association (CFOA) Integrated Data Group which led him to create DemograFire. Philip is also in the final stages of an MSc in GIS at University of Leeds where he is modelling a regional approach to Fire & Rescue in the North-West. Data on future populations by ethnic group are needed for a variety of purposes. This presentation showed: how population projections are constructed, how choices made affect outputs and why differences in observed population change (what actually happened) and expected (what has been projected) might (will!) occur. Paul Norman is a population and health geographer with wide experience of estimating and projecting populations.